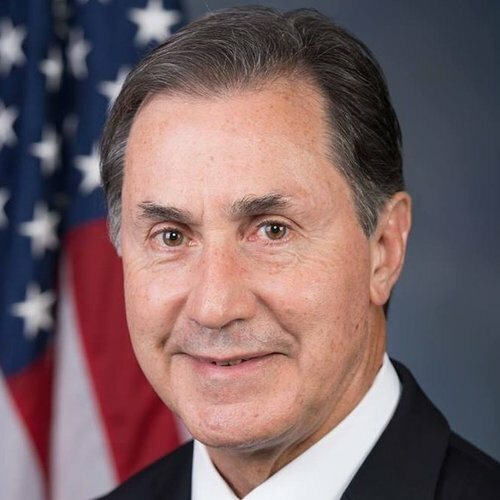 Gary Palmer has refused to provide voters with positions on key issues covered by the 2018 Political Courage Test, despite repeated requests from Vote Smart and voters like you. Yes Campaign Finance: Do you support the regulation of indirect campaign contributions from corporations and unions? Given that individual contributions must be disclosed, I support full disclosure of the source of contributions. Yes Do you support lowering taxes as a way of promoting growth in the economy? Do you support providing tax incentives to businesses for the purpose of job creation? Not at the federal level, states can make their own decisions. At the federal level, I support cutting the corporate income tax rate, allowing businesses to expense capital purchases in the year they are made, cutting individual rates, cutting the capital gains tax, eliminating the double taxation of dividends, repealing the Death Tax and eventually adopting a Fair Tax. No Do you support requiring states to implement education reforms in order to be eligible for competitive federal grants? Yes Do you support reducing restrictions on offshore energy production? No Do you believe that human activity is contributing to climate change? No Do you support restrictions on the purchase and possession of guns? I do not support any additional federal restrictions, and I support the repeal of unconstitutional restrictions imposed by some states and municipalities. Yes Do you support repealing the 2010 Affordable Care Act? Yes Do you support requiring illegal immigrants to return to their country of origin before they are eligible for citizenship? Yes Do you support targeting suspected terrorists outside of official theaters of conflict? Should the U.S use military force in order to prevent governments hostile to the United States from possessing a nuclear weapon? In view of the chaotic situation in the Middle East and elsewhere, I believe we need to make sure Defense is adequately funded. In regard to the other categories, I am evaluating all spending and basing it on priorities which will lead to spending cuts across the board. 1) Economic Growth: open up federal lands to access our vast energy resources.